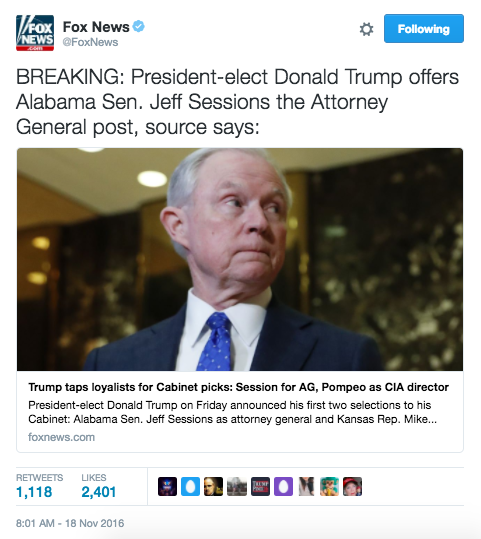 According to officials close to the transition team, President-elect Donald Trump has selected Alabama Senator Jeff Sessions to be his attorney general. Sessions, who was reportedly also being considered for secretary of defense, endorsed Trump very early on in his campaign and has been one of the President-elect’s closest confidants since. Trump has outwardly expressed admiration for Sessions past legal career. Sessions was elected as Alabama’s attorney general in 1995. Senator Jeff Sessions joined the Senate in 1996 and is a member of the Judiciary Committee. He was a former prosecutor and was nominated for a federal judgeship in 1986 by Ronald Reagan, but the nomination was rejected by the Senate. Sessions will also need Senate confirmation before being able to take the position of attorney general. 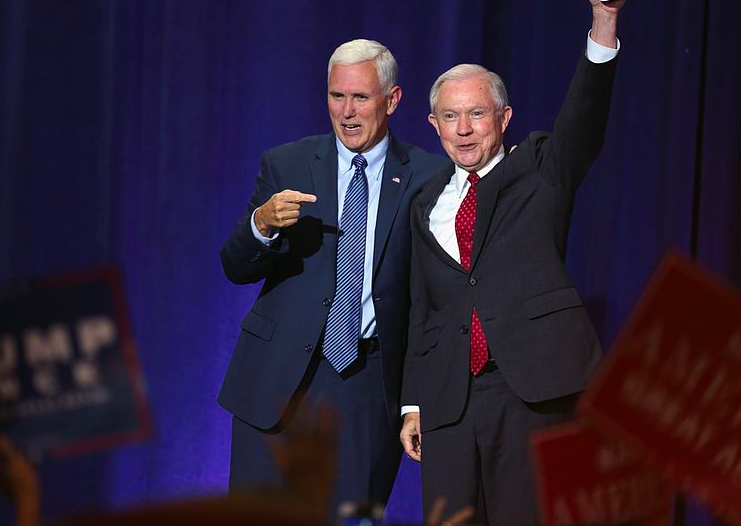 Sessions was also a key figure in helping Trump decide to pick Mike Pence for Vice President despite the fact that he was also in the running for the position. Before Friday’s announcement, the Trump transition team issued a statement saying that the President-elect was “very impressed” with the Alabama Senator, specifically with his legal career. While leaving Trump tower on Thursday, reporters asked Sessions if he would like to serve in the Trump administration.